This is a special section of the Tangerine Publications website where we will share excerpts of our new books. If you like them, we can send you PDF, Epub and Mobi versions. You can click here to request a copy or download it here in PDF. 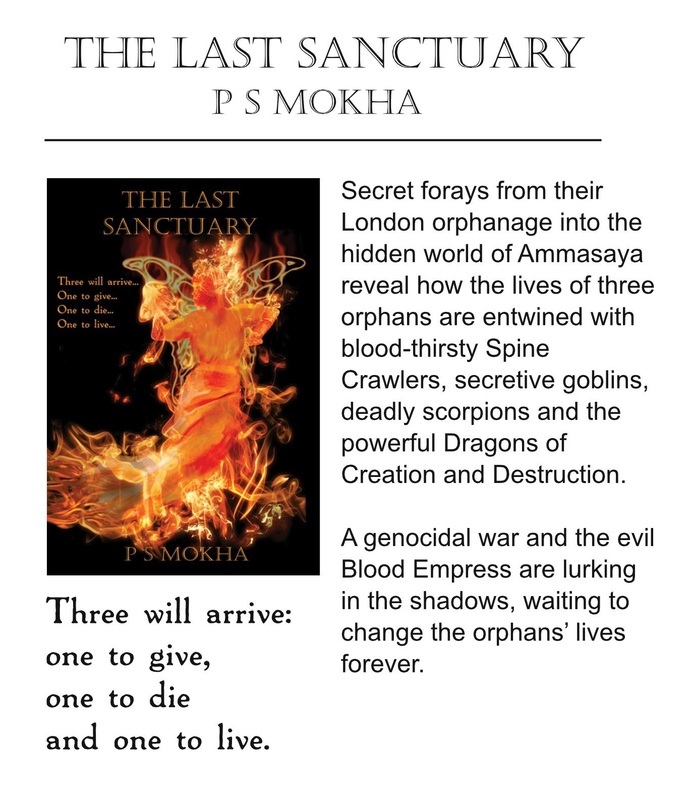 The first book we are launching is P S Mokha's The Last Sanctuary. Set in contemporary London, this is the tale of three orphans with a mysterious past who must unlock the meaning of a chilling 700-year-old prophecy. You can read a couple of chapters from the book below. 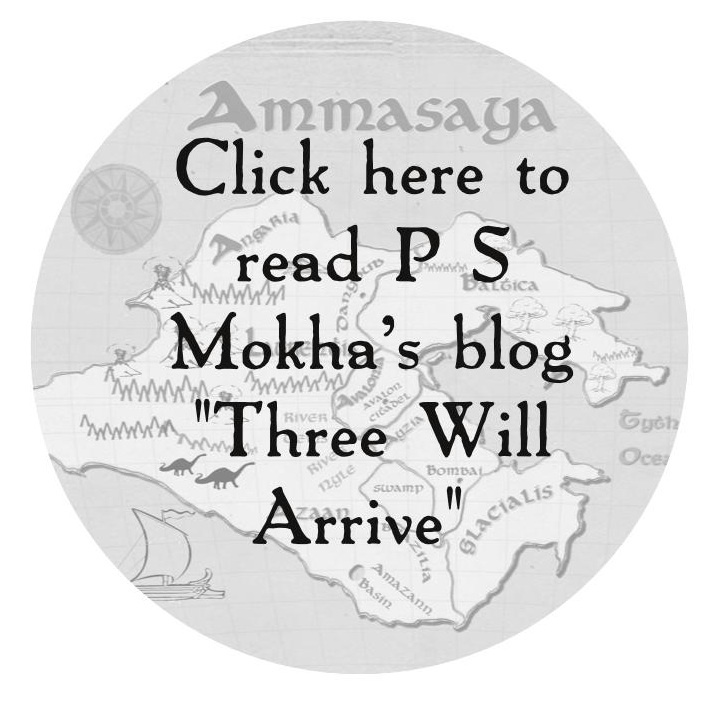 If you would like to get in touch with P S Mokha for an interview, or to be a guest blogger, please email cass@tangerinepublications.com. Lily lay in bed waiting for Grandpa. Although she had just turned twelve, she found it hard to sleep without a bedtime story to whisk her off to magical places. Whenever she missed a story, she often had the same nightmare. Her mother being killed by animals with red eyes. “I’m fine, little angel.” His voice cracked, he wasn’t fine at all. Lily stared at a half-finished jigsaw puzzle of galloping horses that sat on her desk. It was their biggest puzzle yet. Now it might never be completed. It was an odd thing to focus on, but the idea of it sitting there, forgotten, filled her with dread. Would Grandpa forget her as well? “What do you mean? Has this got something to do with Mum and Dad?” Lily fiddled nervously with her fingers. Grandpa rarely spoke about her parents. Grandpa was gripped by a long bout of coughing and Lily noticed blood in his handkerchief. He had been ill for months and in the last few weeks things had got worse. Lily had seen him take pills but he never gave a straight answer when she asked about them. Maybe he was sending her away so he could rest and get better. She didn’t want to upset him by asking too many questions, it might weaken him further. “I’m afraid that won’t be possible.” Grandpa suppressed another cough and grimaced with pain. “That’s OK, Grandpa.” Lily felt a giant hole open in her stomach. She wondered if this was how it felt to be punched. Lily should have been terrified but a strange calm came over her. She wanted to fight too. Although she had known about the war between fairies and witches for months, she never believed she had any part to play. War involved battles which other people fought. Now she was about to have her own battle. Although she understood the fairies would never win the war it didn’t mean they shouldn’t try. And Lily was determined to die trying. She cast her eye over the ground for a weapon and noticed a broken shard of stalactite. She picked it up and held it like a knife. Rose gave her an odd look. Lily realised why. The stalactite was the size of a pencil. She could doodle a sketch on the wall or manicure the Spine Crawler’s nails but otherwise the shard was useless. She threw it aside. At that moment, the idea of dying without a fight was more depressing than the thought of actually dying. “Not so fast,” called a voice from behind Lily. Before Lily could turn around, black lightening blasted between the girls and hit Katrina on the pincer. Katrina gave a blood-curdling scream and her severed pincer fell to the ground, twitching and snapping. The torch it once held rolled towards the girls. The moving flame made the Crawlers stop their advance and hesitate. A shocked Lily spun around to see who was helping them. An older woman with mesmerising blue eyes and a straw hat stood behind the gate. Lily recognised her. It was Merle McNulty. The woman who had been waiting outside the British Museum at the beginning of the school year. Merle had picked up the black and silver key and was hurriedly unlocking the gate. Hope rose within Lily. While the Crawlers faltered behind the flickering torch, Katrina had gained her wits and launched her stinger at the girls. With so much happening, Lily’s mind was slow to react. She watched the stinger move in slow motion as it arced closer. Meanwhile Merle had swung open the gate and now she pushed the girls aside. Lily stumbled against her friends and the stinger missed them. Instead it struck Merle’s leg and went straight through her shin. The scorpion twisted the stinger and Merle screamed in agony. “I have missed watching death,” clicked Katrina, twisting her stinger again to increase Merle’s torture. Merle’s face warped in anguish. Lily was mesmerised by how the scorpion gained pleasure from Merle’s suffering. Olivia was quicker to react. She nimbly stepped to the side and in one swift movement swung Mistlematch at Katrina’s tail and sliced the end off. The stinger and a chunk of tail stuck horribly out of Merle’s leg and she crumpled to the ground. Katrina staggered back down the tunnel with a clicking scream of pain. Everything was happening so fast Lily found events difficult to absorb. The self-flaming torch had been rolling on the ground but now it settled in one place. Because its light no longer flickered erratically around the tunnel, the Crawlers gained confidence. With a flick of tongues they continued their advance across the ceiling. The lead pair dropped to the ground with a heavy thud. The tunnel was only wide enough for two Crawlers to attack at a time and the pair crouched and raised their spines. Olivia stood bravely between the Crawlers and the girls. She was shorter than the long beasts, each with six muscular legs, so it was a horribly mismatched fight. She prepared for battle by raising her dagger and standing sideways. By adopting that stance she became a more narrow target. “This should be amusing,” hissed the Crawler on the left. “Do your best,” goaded the Crawler on the right, stepping forward and sticking out its forked tongue. It was an invitation for a free dagger swipe. Sensing a trick, Olivia stepped back in confusion. While Olivia stood, unsure what to do, Rose and Lily grabbed Merle beneath the arms and dragged her back through the open gate. They needed Olivia to step back a few metres to join them, then they could slam the gate shut and separate themselves from the advancing Crawlers. “RUN BACK HERE,” shouted Rose. But Olivia didn’t run back. Instead she moved forward. She was going to attack the Crawlers. By doing so she would get herself killed. In that instant all the prophecies became clear. The blood will spill of someone dear referred to Olivia. The one to die applied to her too. Olivia was going to sacrifice herself so the other two could survive. Sweet funny Olivia, the bumbling puppy who loved everyone except dogs. She wasn’t the brightest girl but she had a heart of gold. Lily longed to touch her and hug her and hear one of her funny jokes once more before she died. Lily wished her own heart could stretch out and scoop up her beautiful friend and magically drag her to safety. But of course it couldn’t. All Lily could do was watch Olivia continue her inescapable advance towards her destiny.